Forge FC announced Tuesday the signing of Senegalese international midfielder Elimane Oumar Cisse and Canadian right-back Jonathan Grant. Cissé, 23, comes to Forge FC from Senegalese club Diambars de Saly Dourbel. The dynamic midfielder has extensive experience on the international stage having represented Senegal 12 times at the senior level and 19 times at youth level, including as a semi-finalist at the 2015 FIFA U20 World Cup in New Zealand. Grant, 25, spent the 2018 season with Nyköpings BIS in Sweden, but did not play due to injury. He made a total of 32 appearances with Sigma FC in League1 Ontario over two seasons (2014, 2017) under Smyrniotis. Grant was named the League1 Ontario Defender of the Year and a League1 Ontario First Team All-Star in 2017, scoring seven goals in 20 appearances with Sigma FC. In 2016, Grant made 22 appearances for the Swope Park Rangers of the United Soccer League en route to the Championship final, registering one goal and one assist. After an extended trial with KRC Genk in Belgium and the Montreal Impact of Major League Soccer in 2015, Grant made 10 appearances with the Impact’s USL affiliate, FC Montreal. 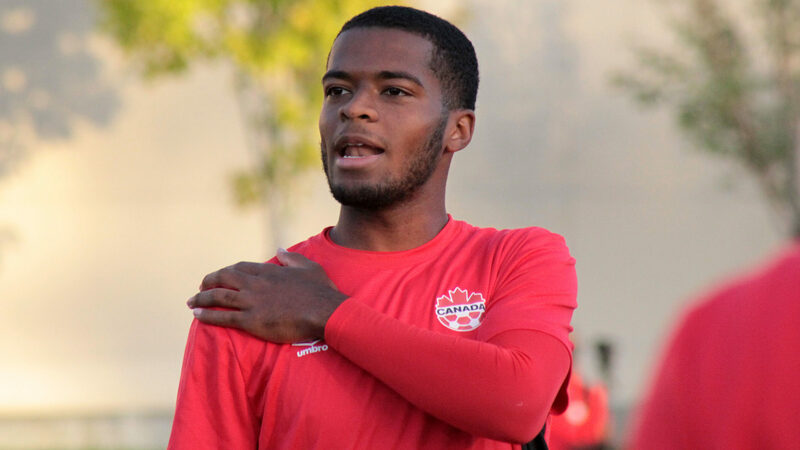 Grant made his debut with the Canadian men’s national team in 2015 under Benito Floro. In the same year, he also represented Canada at the U-23 level at both the Pan-American Games in Hamilton and Olympic Qualifiers in the United States. Cissé’s addition to the squad is pending receipt of his International Transfer Certificate (ITC) and necessary work visa documentation.